(still raining hard, but no lightning at this time)! Thought I'd take advantage of the lack of lightning, and post a couple of cards! It will be a short post, but woweee....it's a post! This first card is one that I made using a Doodle Pantry set, Turtle Trio. It's another one of Laurie's absolutely darling, pre-colored images. The DP's are also from the set. I created the sunshine from ribbon and a button. Next up is a card from a Gina K. Designs set, that Theresa Momber illustrated. What a beautiful set! This card was so easy to make. I took a piece of GKD Pure Luxury CS, stamped the image and sentiment with Versamark Ink, and heat embossed both with white embossing powder. I then scored some lines with the Scor-Buddy, and Scor-Bug. Next I sponged on some distress inks. The card front was then matted on a dark brown and adhered to the care. Voila! Food for thought: Ha ha ha....at my age, happy hour is a nap! This will be a short and apologetic post. I'm sorry that I have not been around to visit - we've had several days of extreme storms, sporadic power outages, etc. (Some of you may have seen news footage of the airport in St. Louis after the tornado went through last night.) Needless to say, our computers have been off much more than on for the last week or so. As soon as Mother Nature puts her happy pants back on, I'll be out and stalking on a regular basis again! Made a few of these cards with DP's and punches by flashlight last night, and thought I'd post one and tell you all "Happy Easter"!!! 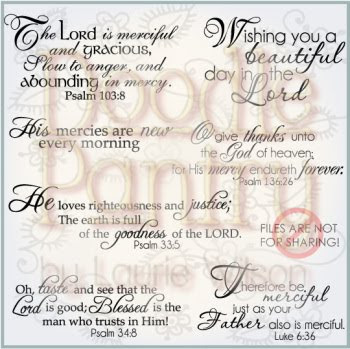 We'll start our day at a 6:15 a.m. sunrise service, and I'll be sure to send up a few special prayers for you all!!! It's time for another New Release Day at Doodle Pantry! I think that you are going to love Laurie's new sets! I have two cards to show today, showcasing two new sets. My first card features the MERCIFUL AND GOOD set. I used a soft DP from the last release, hoping to create something very CAS and serene. Next up is a fun birthday card! 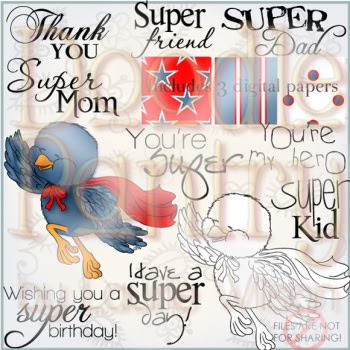 This set is called SUPER BIRDIE, and can be used for many special occasions! I used the pre-colored image!!! I chose to use the birthday sentiment, as it's Ted's birthday today over at Happily Ever Crafter. Happy Birthday Ted!!! If you folks get a chance, drop in on Ted today with some birthday wishes! For this card, I used a template that I found here, on Pam Sparks' blog. I thought it would be perfect for this card! It was easy peasy, and makes a great standing card! I won't bore you with card details today - if you have questions, ask, and I'll get right back to you! Wahoo! There is a new challenge going on over at the Doodle Pantry Blog - "Stock the Pantry" (stock the DP with new images!) Challenge. This first challenge, DPSTP01, calls for buttons and a Doodle Pantry Image. If you don't have any DP images, drop by and check out the FREEBIE section at the store! We'd love to see you drop by and enter your beautiful creation! Last, but not least! Laurie will be having a special "Limited Time Bundle" at each new release. Three of the new releases will be in the bundle! when you buy the Bundle product, you will get all three items in the Bundle at approximately 25% off! This month, your savings is 23% and will include Super Birdie, Decadent Desserts, and Daffodil and Sweet Peas. Your regular cost would be $8.50, but with the Bundle sale, you pay only $6.50! What a deal! Thanks so much for dropping by! Hope to see your gorgeous work over at the DP Blog! 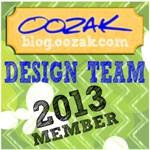 Stop by the blog, or the store, and check out all of the new releases! Good morning! Hope that all of you are well. Many of you got lots of snow last night - we had the tornado warnings, hail, power outages, etc., but we survived! Colored with Copic Markers, DP - Echo Park, Image - By Lori Designs, Glossy Accents on center of bow. Ribbon from my stash! 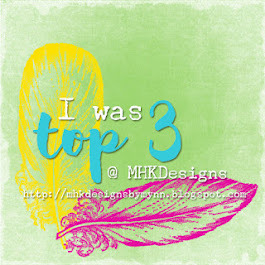 I thought I'd play along with the challenge at By Lori Designs tonight. I colored up one of Lori's adorable images, Ella. Very clean and simple - just wanted to use this darling image tonight! Have a great night, and thanks for stopping by!!! with your address, so I can get it in the mail to you! Well, we have so far managed to escape the storms. It's been windy, cloudy, and foggy, but so far, no storms, and no tornado's! and I'm already looking forward to fresh veggies! It's been a while since I've had a chance to participate in a challenge at StampTV, and this week, the challenge looked like so much fun! You can find the challenge info here. Here is the sketch, and below is my card for the challenge. Fun, isn't it? I have not made a round card in ages! I used Bazzill CS, Neenah Solar White CS, Round Nesties, and one of my favorite GKD stamp sets: Spring Florals. All coloring is done with Copics, and the image has Glossy Accents to give it a bit of a 'dew' look. I sponged inside the nestie with Adirondack Peach Bellini, and the image is stamped with Tim Holtz Peeled Paint Distress Ink. Hope that you are having a good week! Ours is going well so far! Thanks for taking time to stop by! See you tomorrow with a new release from The Doodle Pantry!!! The best thing about the future is that it comes just one day at a time! Sigh...it was another 4 a.m. day here. I have no idea why we cannot sleep all night - even spent a ginormous amount of money on a sleep number bed a while back. Oh well, it'll be okay - sleep is over-rated anyway, right? Speaking of "It'll be okay", I have a fun card for you today. Last week, I had an afternoon at my friend Shirley's. 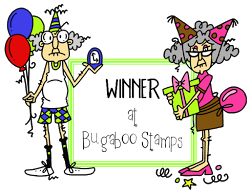 Shirley had purchased many of the cute little Pure Innocence stamps by My Favorite Things, and guess who inked up a few? This little gal is from the set, "My Umebrlla". She's colored with Copic markers, stitched with Copic Multiliner, and her rain gear is embellished with some Glossy Accents. Since the forecast calls for rain here AGAIN today, I thought the image only fitting! Since the Cardinal's let the Dodger's whip 'em last night 2-1, I think the sentiment is only fitting! 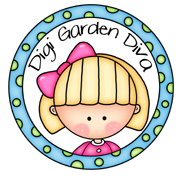 I don't know about all of you, but I think it is time for an "Itty-Bitty Blog Candy"!!!! Just leave me a comment, and tell me what you do with all of the cards you make! You do NOT have to be a follower to comment, but if you are one of my followers, you'll be entered twice! I will draw a name tomorrow morning! An optimist laughs to forget. A pessimist forgets to laugh. Well, we are half-way there - it's Wednesday! Hope your week has been a good one so far! I have a card today that I created using the sketch at Scrap-Creations. Using some of Lisa's wonderful stamps from the Craft's Meow, I created my card. Of course, I used Little Frieda! Then, I took this little medallion, coloring only the center with Spica Pink and Baby Blue, and punching with a 1/2" circle punch for embellishments. 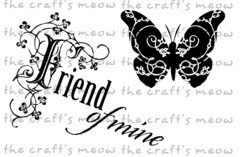 Next, I stamped, colored (again with the Spica pens) the Friend part of the sentiment, cut it out and popped it up. Here is my card. I used DP from Basic Grey Wisteria and Euphoria collections. All coloring was done with Copic markers and Spica Glitter Pens. Hope the rest of your week goes well! Hugs and smiles, and a big thank you for stopping by! I'm sorry to hurry, but am on my way to pick up our little Rosie (grand-daughter-doggie) as DD has a business trip to Chicago, and a plane to catch! Food for thought: If we were thankful for all of the good things in our lives, we wouldn't have time to complain about the rest!!! Hope all is well - sounds like some of you had wonderful weekends! Ours was great! DD ran the Go St. Louis Marathon (she ran the 1/2 - not the whole) and we got to watch her run, spent time that day with friends we had not seen in a long time, and generally had a great time. We are proud of her - 13.1 miles is more than I care to drive some days, much less walk or run!!! Several weeks ago, I think that I posted about our dog, Flake, having to have some growths removed and tested. I thought I'd just check in and let you all know that the place that was biopsied came back as benign. We were thrilled about that. The biopsy folks did say that it was a 'pre-cancerous' (can't remember the long word they used) growth, and that while it is not cancer, it bears watching, as it could come back as cancer. View of Flake's back, a few days after her surgery. She had places taken of stomach, legs, ears, belly, and sides, as well. Anyway, we are hoping for the best, expecting the best, and are very pleased with the results!!! Food for thought: You can't have everything - where in the world would you put it??? Spring is beginning to happen in Missouri! Good morning, and Happy Saturday to you all! It's beginning to look and feel a bit like spring around here. The grass is SO deep, but can't mow because it's SO wet all the time! I've noticed lilies and iris' beginning to bloom, and that makes me happy! Well, speaking of the beautiful Iris, I was playing around EARLY this morning with another set called "Iris" from Doodle Pantry. I love this set, and got it prior to becoming a DT member. For my card, I used the pre-colored Iris, AND the designer paper that comes with the set. I popped everything up, and if you look closely, you'll see that instead of making additional layers, I simply cut the small section of flower, and sort of curled it up to make it look 3-D.
Well, hope you enjoy your Saturday! DH is working today, and tomorrow, DD's running in the Go St. Louis 1/2 marathon. Of course, we will go watch! Thanks for dropping by, hope to get around to your blogs in a bit!!! Food for thought: Light travels faster than sound. This is why some people appear really bright until you hear them speak..... lol... it's a joke!!! All of YOU are bright!!! I married my best friend and forever soul mate! Mid-afternoon, the dogs (we have Rosie this week!) let me know that someone was coming up the drive. Sure enough, these were delivered from my handsome man! There are 4 white roses, and 8 red. Hopefully, you are looking forward to a relaxing weekend. We all know why women my age don't have babies - they would put them down someplace and forget where they left them!!! Sometimes, a card is created, and it actually turns out exactly as I planned it! This is one of 'those' cards! I'm excited to announce that I am on the Creative Team at Doodle Pantry for the April through August term! Those of you who have followed me for any length of time, have seen me work with Laurie's beautiful Doodle Pantry images many times! These PRE-COLORED images are from one of Laurie's new releases, Floral Hats, that you can find here! The tiny border is actually fussy cut from one of the DP's in the set. I cut out and popped up about 3 layers of flowers on the hat. All flower centers were dotted with Glossy Accents, and voila! You still have several days to participate in the current Doodle Pantry Digital Challenge (DPDC11)! All you need to do, is create something using a Doodle Pantry image! 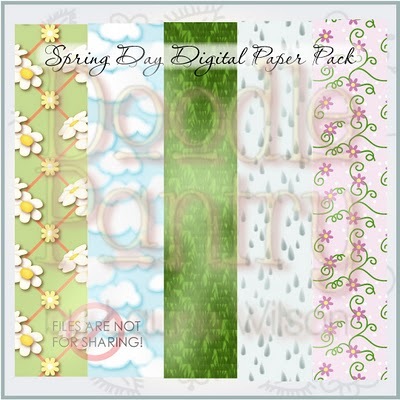 All challenge participants will receive this beautiful Spring Day Digital Paper Pack absolutely FREE!!! In addition, one randomly selected participant will win a $10 gift card to the Doodle Pantry store! If you don't have any Doodle Pantry images, check out Laurie's 'Freebie' section! Hope to see your project in the challenge!!! One more thing! It's Laurie's birthday week, and she has a special sale for all of her fans! From April 5th - April 10th, you can receive 40% off of all product purchases (excluding gift certificates). Use the coupon code: HBDP4U at check out! You can see all the details here! I think I'll enter this in the Challenge at Joan's Gardens, as it calls for a 'white' card! Thanks for dropping by today! Hope you are having a great day, and looking forward to a beautiful weekend! DD is running another 1/2 marathon on Sunday, so we'll be quite busy! You know what's so great about each new morning? You have one more chance to start over!!! Oh my goodness! 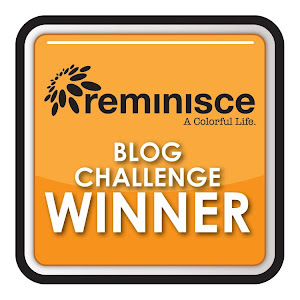 I totally forgot to post the winner of my birthday blog candy!!!! Drum roll please..... the winner is Scrapaddict! Please e-mail me at: mamagilliam@gmail.com and I'll get your mailing info!!! Congrats to Scrapaddict!!! Thanks to all of you for your sweet comments and birthday wishes! I have such wonderful friends! Hugs! Patti J. Little Frieda & Lulu - Mischief! havin' the March winds in April, but that's better than the January snows, right??? Here's a bright and cheerful birthday card, made especially for my friend Ted, at Happily Ever Crafter. This is Ted's birthday month, and he's turning the big 4-4. For Ted's Happily Ever Challenge #16, he's asked for four of something, a purple and green combo, and a birthday card!!! If you want a chuckle today, go check out Ted's Challenge!!! By the way, Ted, the inside sentiment says "Have a Great Birthday!" 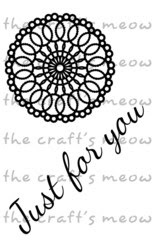 For my card, I've used another fun image from The Craft's Meow store. Little Frieda has a friend with her today - meet Lulu! This stamp is called Little Frieda & Lulu - Mischief, and you can find it here. Be sure to check out Lisa's store - OMG, what cute stuff!!! All coloring is Copic markers. Oh...and of course, my bird is a CARDINAL!!! Thanks so much for stopping by today, and Happy Birthday Month to Ted! Food for thought: If you grasp tomorrow with faith, you know the handle won't fall off!!! I want to introduce you to someone special! This sweet little gal is just one of the darling images to be found at my friend Lisa Hjulberg's new store, The Craft's Meow. She was so much fun to color, and to paper piece! I can't wait to ink up the other images! If you have not been over to check out the goodies at The Craft's Meow, be sure to do so! 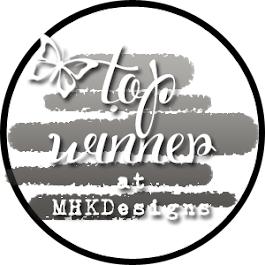 There are kits, inks, stamps, and much more. I hope Little Frieda on her twisted easel card makes you smile! She's paper pieced with DP's from Adorn It, and all coloring is with Copic markers. The pearls on the sentiment were colored with Copic's as well. I used Nesties Labels 18, flowers from Petaloo, and everything else is from my stash. Have a wonderful week, dear friends! 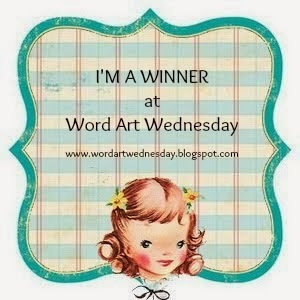 I'll be back on Wednesday morning to post my blog candy winner! Hope to see you then! Food for thought: The frog has it SO easy - they can eat what's 'bugging' them! Happy Birthday to my good friend, Dawn Lotharius! Hope you have an awesome day, my friend! So, today is MY birthday too! My 29th birthday, actually! Lol....it's so much fun being the same age as all of my friends! Since it is such a 'special' day, I have some Birthday Candy to offer up!!! I have the current issue of Stamper's Sampler magazine to send one lucky reader! You do NOT need to be a follower to leave a comment, but you will be entered twice if you ARE a follower!!! Just leave me a comment telling me which magazine inspires you the most! A winner will be drawn at midnight on Tuesday! Good luck to all - Happy Sunday! I'm spending the day with family who will spoil me rotten! Today's post is for a challenge at the Doodle Pantry Challenge Blog. The challenge was a sketch challenge. We have the option of using the fancy or more simple sketch. Well, you know me - nothing is ever easy! I decided to make a set of cards, and to use both sketches! and the more simple sketch for the note cards. 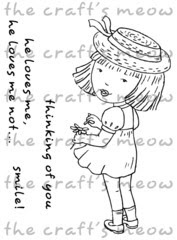 Digi image on all pieces, and sentiment on box lid from The Doodle Pantry - image found here. Here is a close up of the center of the lid. Note that the petals and leaves are curled for a bit of a 3-D look. Box side view. 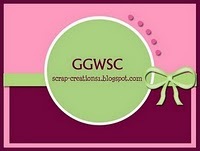 A few days ago, while in sunny Florida, enjoying LOTS of ball games, I posted up some blog candy! I asked for you to list your favorite ball team when you left a comment. Thanks to all of you who commented! Since I am not computer savvy enough to figure out random org., I simply put your names in a hat and drew! If you were a follower, you were put in the hat twice! Congratulations Becky! Please email me at: mamagilliam@gmail.com so I can get your $20 gift card to The Craft's Meow to you!!! Speaking of The Craft's Meow, if you haven't been to the shop today, you should go! The site has been revamped, there are new stamps, AND....through April 5th, everything in the shop is on sale, 20% off!!! Woot woot! What a bargain! That's all I have for today, but am working with a darling image from The Craft's Meow, for my next post!!! Food for thought: Adversity causes some men to break; others to break records.